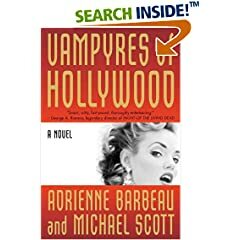 Ovsanna Moore–horror film scream queen, Peter King–hero detective for the Hollywood Police Department, and an enormous amount of “ancients”– very aged and devilish vampires from all over the world, and from the beginning of time. These “people”–and I use the word lightly–make up the characters in this story. I absolutely loved it. This book is captivating, action packed and informative. I would recommend this book to anyone, whether you believe or not!! This book rates the highest with me–6 stars. This book is very well written and is so suspenseful you won’t be able to put it down.